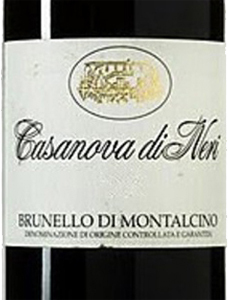 Brunello di Montalcino DOCG by Casanova di Neri is a Sangiovese (Brunello di Montalcino) of great character that allows a long evolution in the bottle. Great finesse, deep, elegant and complex in the style of Casanova di Neri. The White Label is the first product and is the most elegant expression of the Casanova di Neri sangiovese. PRODUCTS Our wines, obtained solely from grapes that come from our vineyards, are the fruit firstly of our vineyard projects and secondly of manic care throughout the process of vinification. The uniqueness and heterogeneity of the soils and microclimates in the different slopes of Montalcino have led us to produce 8 wines, each with its specific peculiarities but all of them true to the Casanova di Neri and Montalcino style. Our Brunello di Montalcino is the expression of a territory and the specific subdivision that it is made up of. Our classic Brunello with its Casanova di Neri stamp and its white label was the first to be produced and is the expression of the most elegant Sangiovese of Casanova di Neri. Cerretalto and Tenuta Nuova are unique expression of Sangiovese di Montalcino, where the terroir defies any possible categorization and classification, offering incomparable and individual characteristics that lead to wines of striking distinction. 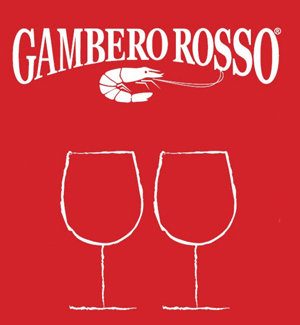 The Rosso di Montalcino and the IrRosso di Casanova di Neri are younger wines, easier to enjoy and offer the less demanding side of Montalcino Sangiovese with immediate ready to drink wines yet still recognizable and with a strong territorial connotation. Our Brunello Figuranti is the fruit of vineyards newly acquired in which we also found vineyards of Grechetto and Vermentino that we use for our last born production: Ib Bianco. Our Extra virgin Olive Oil complete our range of products. VINEYARDS «One thing we're truly proud and confident of: our vineyards , their quality and their history» Our 63 hectares of vineyards are the core of our estate and our greatest riches from which extraordinary grapes are produced that are the secret of our wines. In all there are 8 vineyards: Fiesole, Poderuccio, Podernuovo, Le Cetine, Pietradonice, Cerretalto and Spereta, all of them in different parts of the territory of Montalcino. The diversity of their soils, exposures, microclimates and of the ages of the vines creates the identity of our wines. Wines produced by us are the consequence of how Sangiovese in Montalcino can give exceptional unrepeatable results, distinguished by a unique quality stemming from the combination of a territory that has always been dedicated to viticulture with the unstinting labour and infinite passion with which we confront it daily. Our grapes are the product of a variety of Sangiovese Grosso taken from our Cerretalto vineyard and from a long process of reproduction and planting of vineyards on the various slopes that give varying results that all spring originally from Sangiovese in Casanova di Neri. OUR HISTORY Founded in 1971 by Giovanni Neri who with his great vision and passion understood the huge potential of wine in the Montalcino territory, it was passed on to his son Giacomo in 1991. Casanova di Neri does in fact stands for the Casanova Estate of the Neri Family.. The production started in the Eastern part of Montalcino and was extended later in other areas. First came the Cerretalto vineyard, a unique terroir in a natural amphitheatre over the Asso river in which the old vines produced a Sangiovese different from the others, with small bunches of well distanced grapes, from which a selective variety was grown that was used in out other vineyards particularly in Tenuta Nuova. The acquisition of Cerretalto was followed by that of Le Cetine, Pietradonice and then Podernovo. All this by researching the best soil and exposures so as to produce unique and recognizable wines. The first Brunello harvest was 1978. This was followed by Cerretalto1981, Rosso di Montalcino 1982, Tenuta Nuova 1993, Pietradonice 2000, IrRosso di Casanova di Neri and the last one Ibbianco 2011. 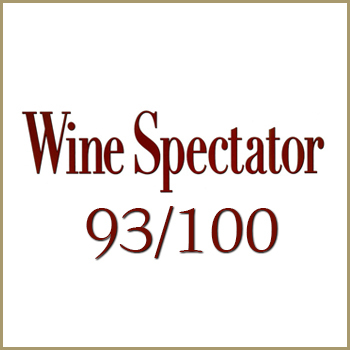 In the course of our small yet at the same time great history we have received awards from the most important reviews and opinion leaders of national and international wine critics. Currently the estate covers a surface of around 500 hectares of which 63 are vineyards, 20 olive groves and the rest arable land and forest. PHILOSOPHY We believe that wines are the fruit of the vineyard and of man's labour. The care and passion in working the land has to take into account the characteristics of the land, the microclimate and the variety so as to produce a unique distinct wine able to express its territory. For over forty years our evolution has been marked by careful targeted choices that have distinguished our estate and the wines we produce creating their own style. A constant search for particular soils that exalt the quality and uniqueness of our wines and farming practices that respect the land and the vines are followed by attentive care in the making of the wine. Our wines are the fruit of exceptional combinations of soils and microclimates together with passionate and meticulous work enabling us to obtain constant results and to enhance the distinct features of the grapes throughout the different vintages. Tasting Ruby red with garnet hues, scents of cherries, violets and red fruits. Great finesse in the mouth with tannins still young but high quality. Long, elegant and persistent. Our wines, obtained solely from grapes that come from our vineyards, are the fruit firstly of our vineyard projects and secondly of manic care throughout the process of vinification. The uniqueness and heterogeneity of the soils and microclimates in the different slopes of Montalcino have led us to produce 8 wines, each with its specific peculiarities but all of them true to the Casanova di Neri and Montalcino style. Our Brunello di Montalcino is the expression of a territory and the specific subdivision that it is made up of. Our classic Brunello with its Casanova di Neri stamp and its white label was the first to be produced and is the expression of the most elegant Sangiovese of Casanova di Neri. Cerretalto and Tenuta Nuova are unique expression of Sangiovese di Montalcino, where the terroir defies any possible categorization and classification, offering incomparable and individual characteristics that lead to wines of striking distinction. 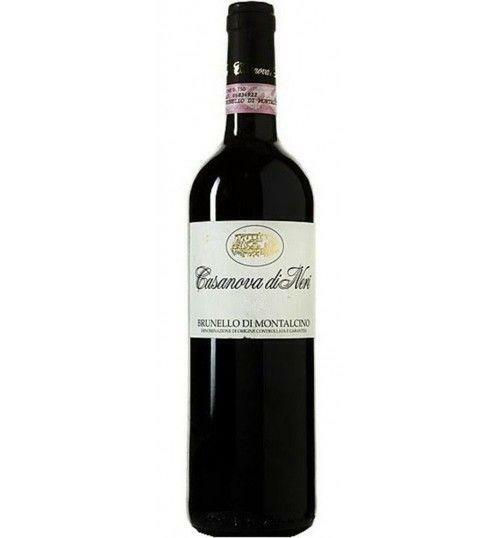 The Rosso di Montalcino and the IrRosso di Casanova di Neri are younger wines, easier to enjoy and offer the less demanding side of Montalcino Sangiovese with immediate ready to drink wines yet still recognizable and with a strong territorial connotation. Our Brunello Figuranti is the fruit of vineyards newly acquired in which we also found vineyards of Grechetto and Vermentino that we use for our last born production: Ib Bianco. Our Extra virgin Olive Oil complete our range of products. Fiesole, Poderuccio, Podernuovo, Le Cetine, Pietradonice, Cerretalto and Spereta, all of them in different parts of the territory of Montalcino. The diversity of their soils, exposures, microclimates and of the ages of the vines creates the identity of our wines. Wines produced by us are the consequence of how Sangiovese in Montalcino can give exceptional unrepeatable results, distinguished by a unique quality stemming from the combination of a territory that has always been dedicated to viticulture with the unstinting labour and infinite passion with which we confront it daily. Our grapes are the product of a variety of Sangiovese Grosso taken from our Cerretalto vineyard and from a long process of reproduction and planting of vineyards on the various slopes that give varying results that all spring originally from Sangiovese in Casanova di Neri.